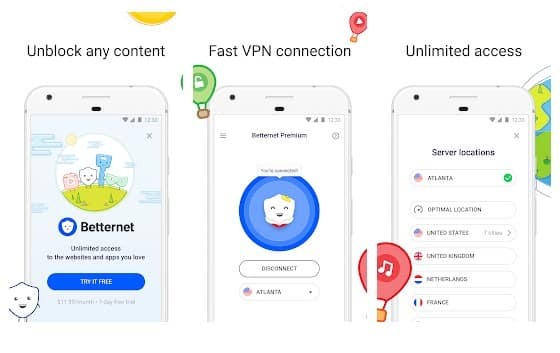 Let’s have a look at the Best Fastest VPN for Android/iPhone that you can use to browse the site privately over your smart device but with the improved speed as most of the VPN can lower it down. So have a look at this VPN below. VPN or the virtual private network allows surfing the internet securely without letting any activity noticed by the different pings of vast spread networks. Setting up VPN allows the hackers to test their actions and even it is used by the users to surf free internet. There are several VPNs available on the internet but only a few are the best out of these. The speed of any VPN matters a lot as if the speed would be low then working on it can be a really difficult task. 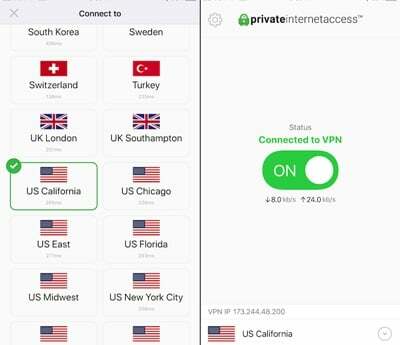 Those people who are willing to get about the fastest VPN for the Android and iPhone won’t be able to find the one out of the crowd of so many others available on the internet. 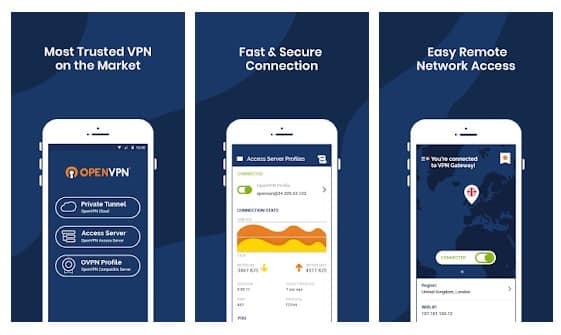 To help out the users find the best fastest VPN for the Android and iOS we have done all of the work as well as reviewed many VPNs. 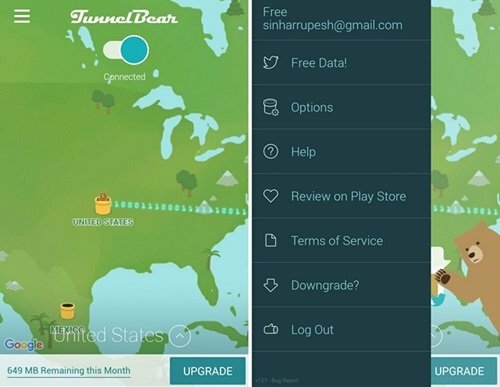 Here in this article, we have written about the best VPN for Android/iPhone devices. If you are interested in reading about this information or find it helpful for your usage then please read it down. All of the proper information is provided in the main section of this post as is given below, remember to read till the end of the page so that you get the whole knowledge regarding the topic. So, let’s get started! Well, there is a number of VPNs that are available in the market that you can get downloaded on your smartphone but I was looking for some of the best that can actually give fast speed so I researched over the internet and found some apps that really don’t alter the speed. And below I have listed all those VPNs that you can get from Play store for your android and from APP Store for your iOS devices. This app gives one-tap access to over 5,072 servers across 62 different countries, this app also consists of a built-in adblocker so you can browse the internet freely while using fewer data. All you need to do is tell NordVPN where you want to connect, and it would instantly connect to the network. Install this fastest VPN on your Android device so as to get the speeds up to 75 Mbps. This is available for both Android as well as iOS, it is the fastest one out there as it provides the speed of about 83.15 Mbps. This VPN network can be accessed for a charge of only 7 dollars per month. The best part of this VPN is that the users can actually set the speed limits as well as choose the location from out of the several countries. The ease of using this VPN also makes it retain the top position and rankings. With the speeds up to 50 Mbps this VPN really rocks at a certainly inexpensive price range of only 3 dollars per month. It is half the price as compared to several other VPN networks. If the highest possible speed is not the big deal but you want both industry standard security as well as cheap price then there is nothing better than CyberGhost. Just go and install this amazing VPN on your device and enjoy working over it. The speed of 81 Mbps and strong encryption makes this service the best VPN among others. Again this private network can be accessed by paying just 3 dollars per month subscription charges. You will be fully satisfied using this stunning network. 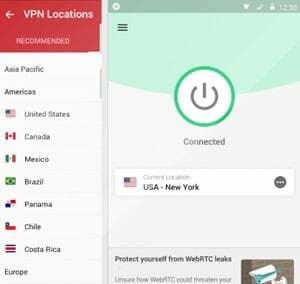 Again if you liked this VPN then install it on your Android or Ios device. Pay 5 dollars to access this VPN where you get stunning speed and good encryption of data. It is one of the most stable VPN services and the graphics UI allows the users to gain full control over the location changes as well as speed limiting. Betternet VPN is one of the top rated VPN apps which is available on almost every major platform including Windows, iOS, and Android. The best thing about Betternet is that it offers it has a strict no log policy and its mostly a free app. The free version of Betternet shows video ads and sponsored apps, but that can be manageable. So, Betternet VPN is another best Android/iPhone VPN app that you can consider. Hideman VPN is another best Android and iOS VPN app on the list which offers both free and premium plans. It’s also one of the fastest VPN apps which you can use on your Android smartphones. However, on the free version, the speed is been limited to 512KBps. However, with the premium version, you can enjoy blazing speed. OpenVPN Connect is another best free VPN app on the list which has blazing fast speed. Guess what? OpenVPN Connect is an open source app which offers users lots of features. However, setting up OpenVPN is a little bit complicated and it required little knowledge to set up. On, OpenVPN Connect, users need to create and set up an Open VPN Server themselves in order to use the app. Finally, after reading this article you have got to know about the finest VPN for Android as well as iPhone devices. All of the information given here is written in such a way that anyone can get about the important aspects easily. Hope that you might be liking the information given in this article if it is so then please try to share it with others too. Also, share your suggestions and opinions regarding this content by using the comments section below. Your indulgence in our work is really grateful to us, keep supporting us and we would be always coming up with all new amazing information. At last but nevertheless, thanks for reading this post! If you have any new topics in your mind that you want me to write on then, please share with us, I’ll write elaborate content on it so that you can get to know about it in detail. Great list for everyone who is searching for a vpn. I am using Nordvpn provider for a while. At first, I was skeptical about all that security part because I thought that I do not need it. But now I can’t imagine my daily life without it. Torrenting, netflix and shopping became much more easier now. I second ExpressVPN. Love the Android app.